I’m back from our Cape Town holiday and ready to start blogging in real time again. We had such an amazing time in Cape Town (we always do!) but it’s good to be back home with our fur babies. Late monthly favourites blog posts have become a bit of a tradition here on the blog…but this time I have a good excuse: Cape Town holiday. I tried really, REALLY hard to write this blog post before we went on holiday just over 2 weeks ago but I only got as far as taking the photos. And I’m pretty sure you guys don’t just want to see a bunch of photos – you want to know why I like / dislike (unfavourite) the products? Right? RIGHT? 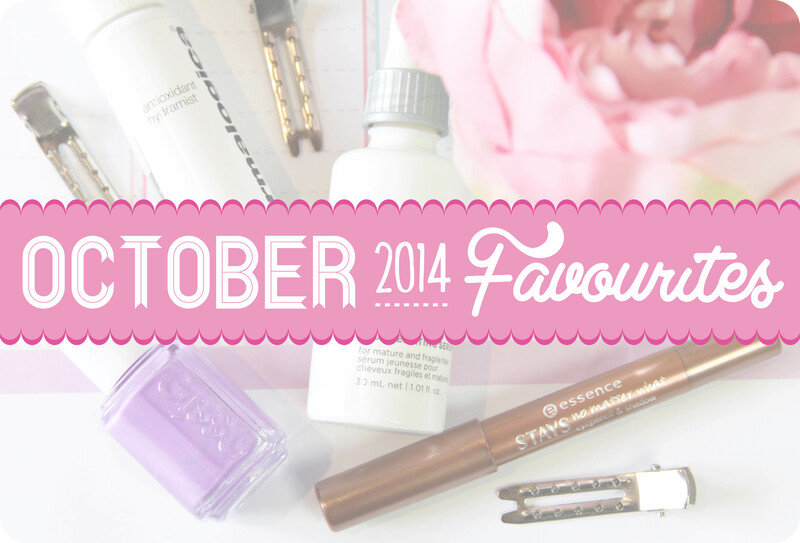 In this month’s favourites blog post I feature products I have been loving & 1 product I just can’t seem to get the hang of. I am completely gutted! I finished my Dermalogica AGE Smart Antioxidant Hydramist in October and I’m actually feeling a bit anxious about it. I bought this a couple of months ago and featured it in one of my first YouTube videos. 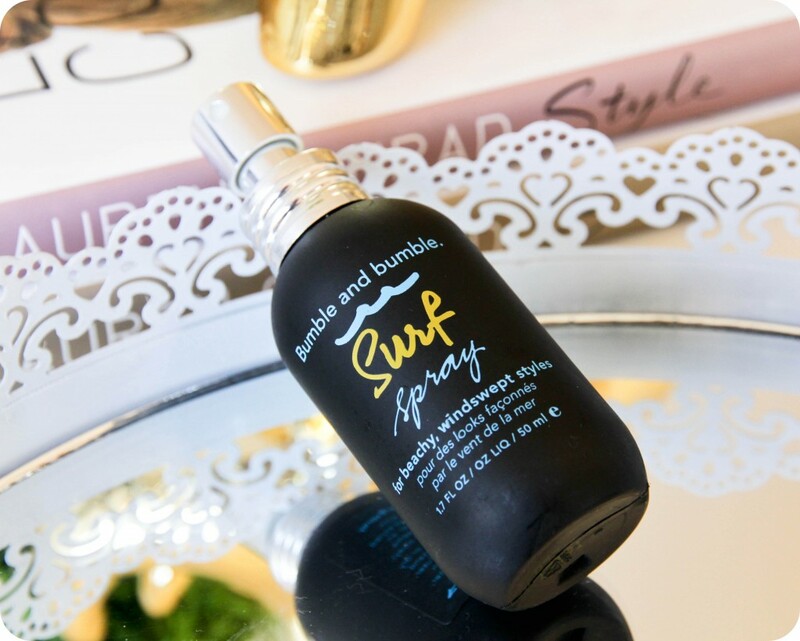 I am in love with this stuff – it’s a facial hydrating mist that can be used as a toner or just a ‘pick-me-up’ spray during the day to combat dehydrated skin. I personally think this little bottle contains unicorn tears (tears of happiness, don’t worry!) – it contains peptides to help protect, water binding agents to rehydrate, pea extract to help with firmness, and white tea, licorice and beta-glucan to help protect against free radicals. 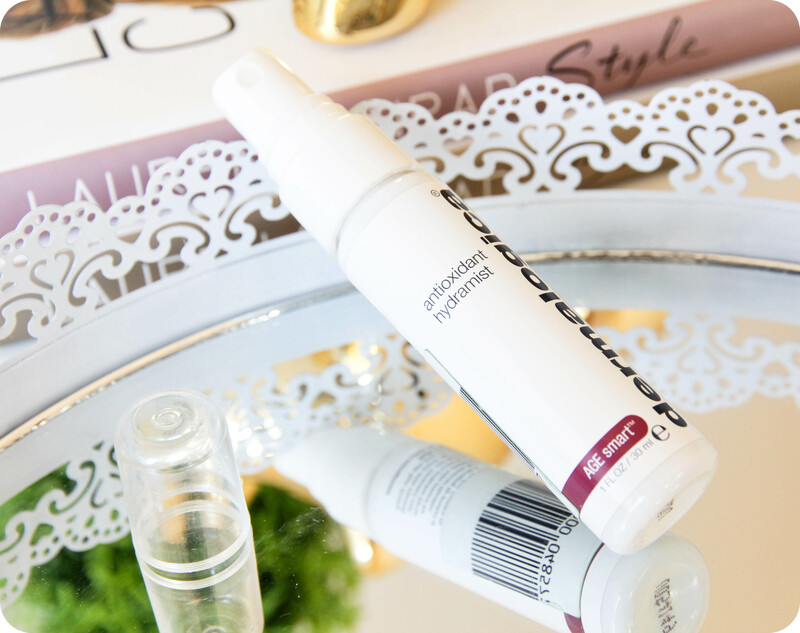 Dermalogica AGE Smart Antioxidant Hydramist is also packed with collagen boosting ingredients – what’s not to love? After cleansing, I spray a couple of spritzes onto my face and décolletage area and then follow up with my serum & moisturiser. It soothes & calms my skin, and leaves it feeling plump & hydrated. Top Tip: This can be used over makeup too, so you can give your face a couple of spritzes to refresh your makeup during the day (or night). Dermalogica AGE Smart Antioxidant Hydramist retails for R 170,00 (30ml) or R 550,00 (150ml) at Dermalogica Concept stores, Sorbet salons and other Dermalogica-stocking salons. I’m eating humble pie. If you read my Beauty Snoop #2 blog post, you will know that I wasn’t all that impressed with the Essie Neons 2014 Too Taboo collection. I still stand by most of what I said in that blog post but 1 little polish from that collection has crept into the corner of my heart, and his name is Sittin’ Pretty. This bright purple polish is very similar to Essie Play Date but there’s just something that makes it pop a little bit more than Play Date & I can’t quite put my finger on it because Play Date actually looks brighter in the bottle. Sittin’ Pretty is a jelly, while Play Date is a true creme – perhaps that’s why it pops a bit more? Even though this polish requires 3 coats (no exceptions), I don’t mind it because it just so darn pretty! You can check it out in action in this video. Essie Sittin’ Pretty retails for R 145,00 but is a limited edition nail polish & only available in nail salons and nail bars (not retail stores). This, my friends, was love at first sniff! Retail Box sent me a couple of Schwarzkopf products earlier this year and I waited a while before starting to use the products as I always feel like I need to finish a product first, before I can start using a new one. I started using the Schwarzkopf Bonacure Hairtherapy Time Restore Rejuvenating Serum at the beginning of October and I’m at the point where I want to send Schwarzkopf a love letter that ends off with me professing my undying love and asking them to sell me a 1 litre bottle of this stuff. Dramatic much? I knew I loved the scent of this hair serum but it was only after fellow blogger Marlize (she works at Schwarzkopf) told me that it contains PEONY extracts, that I knew it was meant to be. If I could start my day by squirting this up my nose every morning, my life would be complete. I know, I know…the scent isn’t that important BUT I’m happy to report that this is the ultimate hair treatment for weak & fragile hair. Time Restore Rejuvenating Serum not only stimulates the production of keratins (to repair signs of ageing) but is also cares for the scalp (to restore elasticity & combat hair fall) and protects the hair from external damagers. After using this serum for about 6 weeks (I apply it to towel-dried hair as it’s a leave-in treatment), my hair definitely looks healthier and shinier. Even my hair stylist at Gary Rom recently commented on how healthy and radiant my hair looks and feels. 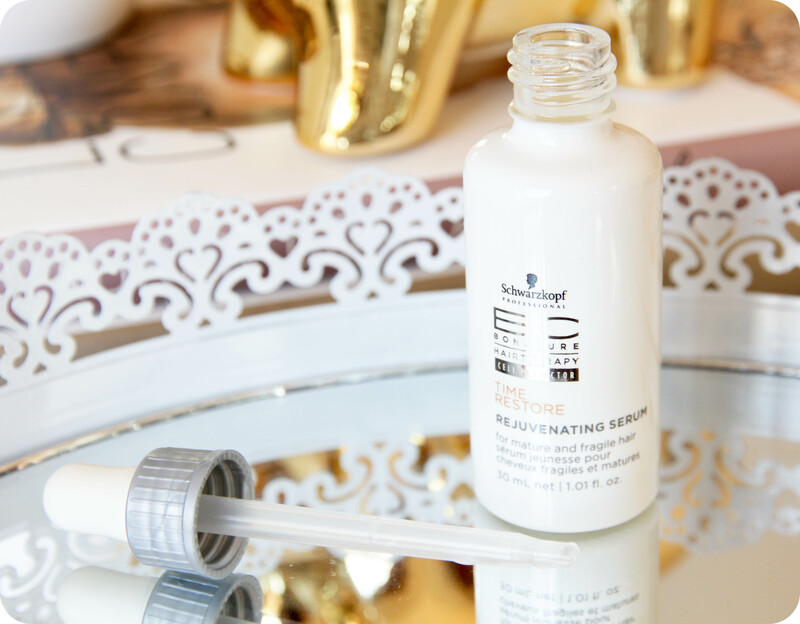 Schwarzkopf Bonacure Hairtherapy Time Restore Rejuvenating Serum retails for R 260,00 online at Retail Box, as well as in-store at selected hair salons. I used this little eye pencil from Essence in ‘My Go-To Eye Makeup Look’ makeup tutorial video a few weeks ago and I have been loving it lately (I even took it with me on holiday these past 2 weeks). 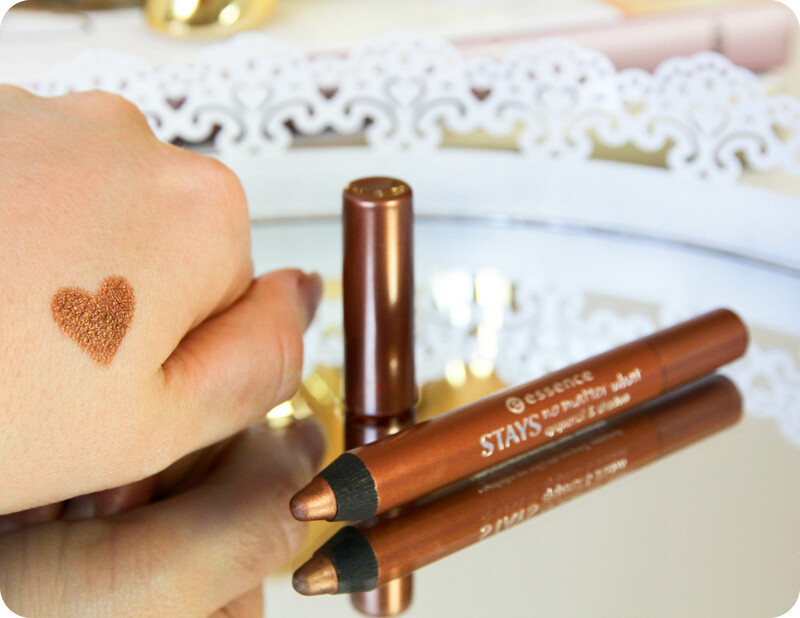 This is the perfect example of a very affordable makeup product that is top quality – this is the Essence Stays No Matter What Eye Pencil & Shadow in shade Cute Copper. I received this pencil as a gift from Hildegarde after mentioning it in this blog post. As the name suggests, it can be used as an eye pencil or an eyeshadow but I prefer using it as an eyeshadow base (primer) as it does tend to crease a bit when used alone as an eyeshadow. I also use it as-is on the lower lash line as I find it lasts well on areas that are not too oily (I unfortunately have rather oily eyelids). This chubby pencil is highly pigmented and the colour is absolutely beautiful – a captivating copper shade that has a golden tinge when the light catches it. Essence Stays No Matter What Eye Pencil retails for R 35,00 online at Spree, or in selected Clicks & Dis-Chem stores. 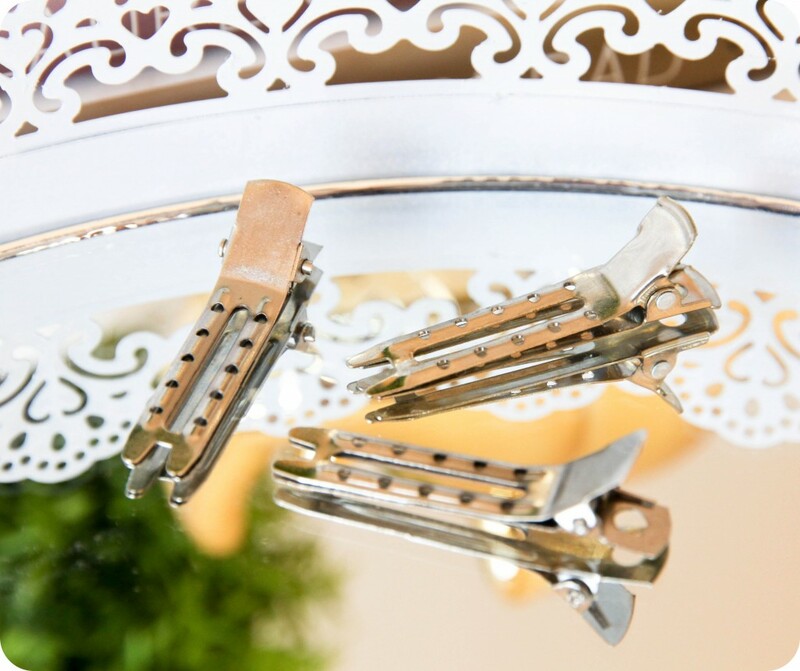 Duckbill clips…isn’t that just the cutest name? It’s the small things in life, and even though these clips look so trivial – they are a must-have! I ALWAYS pin my curls when I curl my hair with a curling iron because my locks do not hold a curl very well. If I curl my hair with a straightener (‘How-To’ video coming soon since a couple of you guys have asked me to do one) or with my Babyliss Curl Secret then I don’t have to pin my curls. I do, however, still use my curling iron / curling tong quite often as it gives me soft, flowy and feminine curls. If you find your curls don’t last very long, then try using these little clips. Not sure what I mean when I say I pin my curls? Here’s what I do: Curl a section of hair with the curling iron, roll the curl back up so that it forms a circle on your head / scalp and then use the clip to hold it in place (you’re going to look like a granny after you’ve pinned all your curls but trust me, it works like a bomb!). Pinning your curls ensure the curls cool down in the tight curl shape, keeping your curls bouncy all day long. These short duckbill clips are cheap & cheerful and retail for R 18,00 at Dis-Chem (pack of 10). Unfavourite for the month of October is not a specific brand, but rather a type of hair product: Sea salt sprays. I don’t get them…they make your hair look flat, dry, sticky and dirty. I had a bit of a rant at the end of this video and I still feel the same about them. Maybe my hair is the wrong texture or type but I find it does absolutely nothing for my hair unfortunately. I get that they add texture to the hair for maybe creating messy braids or an upstyle, but for adding volume or creating beachy waves…they just don’t work for me. Is there anything you have been loving lately that you think I should add to my Christmas Wish List? Let me know in the comments section below. Love the pretty photos, want that tray to store my perfumes on! Your photos are perfection, Luzanne! Ooooh that nail polish is beautiful, going to see if I can find it at a nail parlour. It really is such a pretty shade, I’m actually wearing it on my nails as I’m typing this reply. 🙂 Will probably Instagram a photo of it tomorrow. You know me well, Talya! 😉 Hot Toddy was one of the first Xmas collection items I added to my basket. I sniffed it in-store and knew it was meant to be! Great review,the Dermalogica Hydramist sounds like something I should try! So glad to hear I’m not the only one who doesn’t get sea salt sprays. And all this time I just thought I was using them wrong… Could never understand why no one else had the same flat, sticky, yuk results as me!